Specialized Saddles Trail Stirrups provide extra support and comfort, especially on long rides. Specialized Saddles Trail Stirrups provide extra support and comfort, especially on long rides. 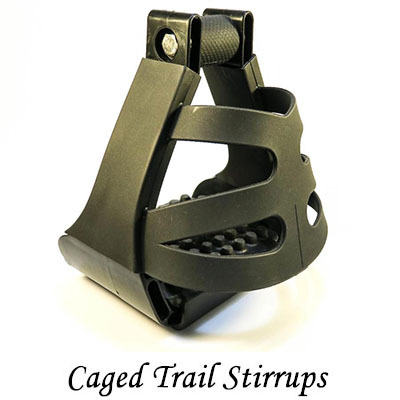 These stirrups are made with heavy duty nylon and feature shock absorbing treads for comfort and to prevent feet and ankles from tiring quickly. Wide enough to accommodate insulated boots or tennis shoes. 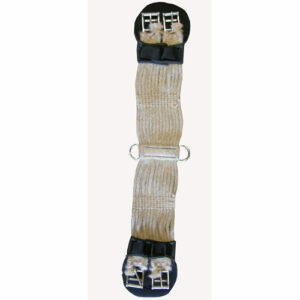 Safety cage keeps feet from extending too far into stirrup. 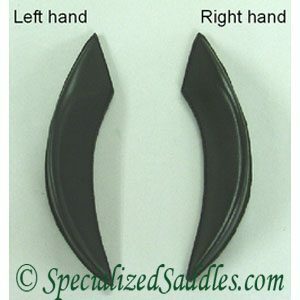 Available in 2″ (for Biothane Stirrup Leathers) or 3″ (for Traditional Fenders) neck size.